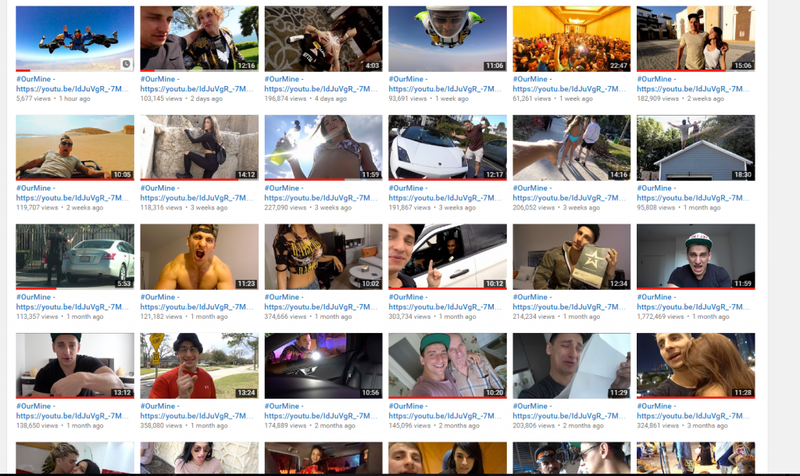 Famous Vlogger #VitalyzdTvSecond Official YouTube Channel Hacked by OurMine! 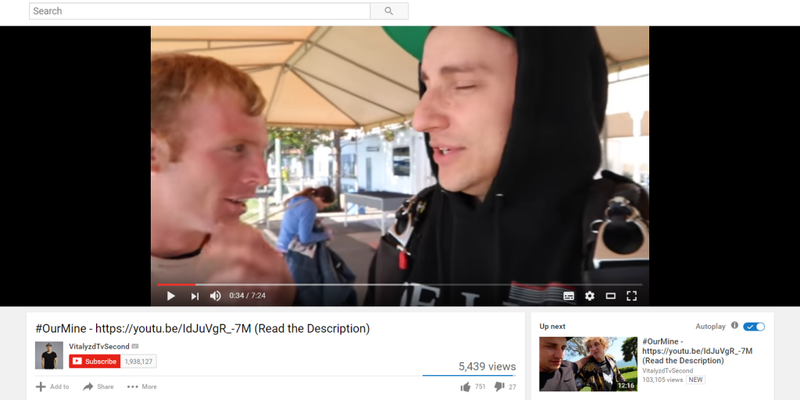 #OurMine targeted famous american vlogger YouTube channel: VitalyzdTvSecond. They renamed all his videos title to “#OurMine – https://youtu.be/IdJuVgR_-7M ” which redirects to #OurMine official trailer video of there channel. How did they carried out this attack? It is unclear that how they carried out this attack on his channel. Vitaly didn’t update there viewers about this hack yet. Vitaly Zdorovetskiy (Russian: Вита́лий Здорове́цкий; IPA: [vʲɪˈtalʲɪj zdərɐˈvʲɛtskʲɪj] born March 8, 1992), better known by his YouTube username VitalyzdTv, is an Russian YouTube personality whose main channel videos, as of December 2016, have reached over 1.2 billion views and over 9.2 million subscribers, while his vlog channel has more than 225 Million views and 1.8 million subscribers. OurMine Security Group is a hacker group. The security hacking group uses hacked celebrity internet accounts to advertise their commercial services. In 2016, they hacked the Twitter accounts of Wikipedia co-founder Jimmy Wales, Pokémon Go creator John Hanke, Twitter co-founder Jack Dorsey, Google CEO Sundar Pichai, and Facebook co-founder Mark Zuckerberg, whose Pinterest was also hacked. In addition to social media accounts, the group has hacked the website TechCrunch. In October 2016, BuzzFeed published an article linking the OurMine group to a Saudi Arabian teenager using the name Ahmad Makki on social media. OurMine denied the allegations, claiming that Makki was only a “fan” .of the group. One day after the article’s publication, OurMine infiltrated BuzzFeed’s website and altered the content of several posts to read “Hacked By OurMine”. On 11 November 2016, Wikipedia co-founder Jimmy Wales‘ official Wikimedia global account was compromised, an act for which the hacker group claimed responsibility on their website. On 1 April 2017, OurMine hacked into the YouTube network Omnia Media gaining access to numerous channels. The group changed countless videos titles and descriptions of over 300 popular YouTube accounts. Thousands of video titles were changed to “OurMine Are Back!… ( Read the description )“. The video descriptions linked directly to OurMine’s website. YouTube has worked to restore the video titles and descriptions.